Methodologies | South African Brake Fluid and Coolants (Pty) Ltd. The team at SABAC adheres to a specific service methodology that forms the basis of all service operations and solutions offered. This service methodology is implemented throughout our operations, business development and support structures to ensure that a well-devised service solution is implemented for the customer. Customer-focused services infrastructure that forms part of the service solution, ensuring integrated support and operational success. 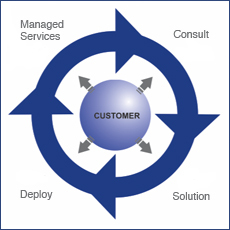 Customer management based on customer partnership principles at a strategic and operational level. Adding tangible value to the business of the customer. Exceptional quality of service and consistent, timeous delivery. A single point of contact for the customer to ensure streamlined project management. Additional second line service monitoring. Daily planning sessions to ensure the highest levels of productivity and efficiency are achieved and turnaround deadlines are accomplished and constant customer satisfaction measurement.